The fabulous Winchester Bar & Grill is now owned by the same folks who own fabulous O’Leaver’s. There’s no better place to enjoy great weather than your own back yard… or a beer garden. The folks at fabulous O’Leaver’s know this, so a couple years ago they built a giant beer garden behind their building. This hidden Narnia is one of the Omaha music scene’s best kept secrets (that’s not really secret). These 6 p.m. gigs are $5, and what’s interesting is they haven’t limited the bands to quiet acoustic combos. RAF is a violent, raucous punk band. What will the neighbors say? Well, it’s so early in the evening I can’t imagine they’ll say anything. Noise issues are the only reason I can fathom why more Omaha beer gardens don’t host outdoor gigs. Benson’s 1912, for example, has a massive beer garden on its roof perfect for a weekly local gig. The just opened Bärchen, also in Benson, has a great beer garden behind its building. 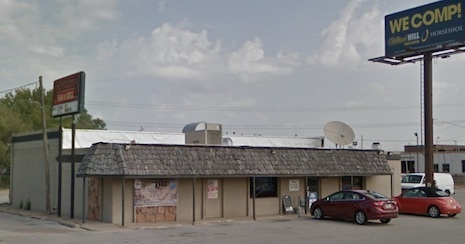 Speaking of O’Leaver’s, the club’s ownership group has expanded its holdings with the purchase of Winchester Bar & Grill at 7002 Q St., right across the street from Fun Plex. In addition to their attempt at cornering the market on volleyball (Winchester has five nets), there’s also pool, darts and karaoke. Winchester’s motto: “A Legend of Good Times and Food Since 1975,” which is probably the last time I was there. Actually, I remember Winchester’s as part of the ’80s club scene that stretched along 72nd street (Who remembers Jodhpurs, Brandywines, The Crazy Horse and The Ranch Bowl — meat market bars that featured cover bands? Toss Arthur’s in there for good measure since it was right up the street). I’m told the new owners haven’t had a chance to make any changes but “anything is possible there” including live rock shows, maybe in line with what we’ve seen at O’Leaver’s. Maybe they’ll play off the name and focus on a C&W theme, or Americana? Time will tell. I intend to drop by this weekend before or after the races at Horseman’s Park. Monday’s item about Maha charging volunteers a $35 deposit caught the attention of the Maha folks. They said the grizzled Maha veteran volunteer who complained to me literally didn’t get the memo, as veteran volunteers were offered an early-bird opportunity in April to volunteer and waive the $35 fee. Any other veteran volunteers who didn’t get the memo should get in touch with Maha at volunteer@mahamusicfestival.com. Maha also reiterated that volunteers are what keep the festival a well-oiled machine, which is something anyone who’s gone to a Maha Festival already knows.